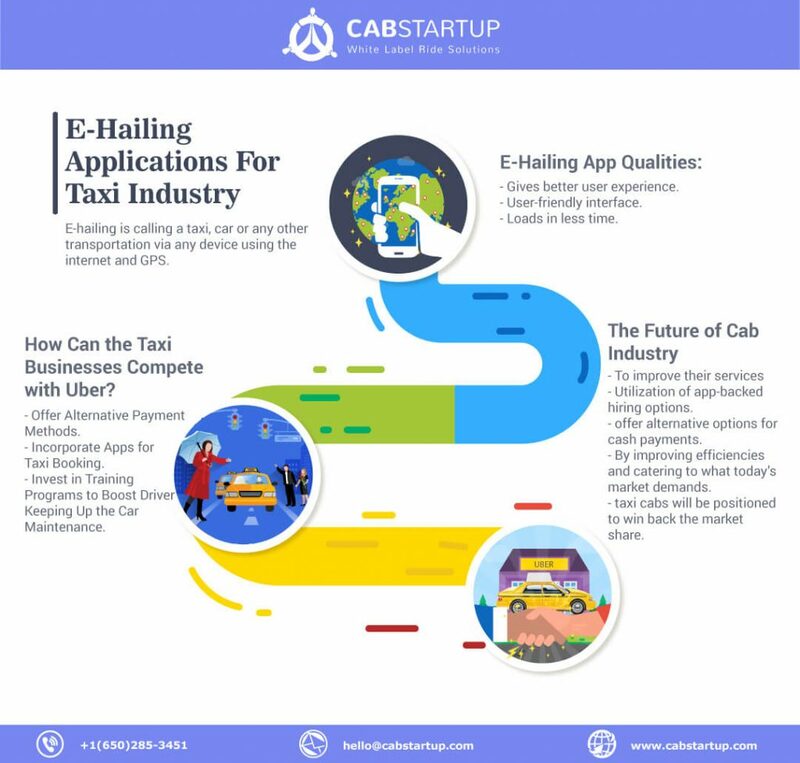 How E-Hailing Applications Improved the Taxi Industry and What’s Next? E-hailing refers to the process of calling a taxi, car or any other transportation via any device using the internet and GPS. E-hailing needs applications for booking and dispatch. 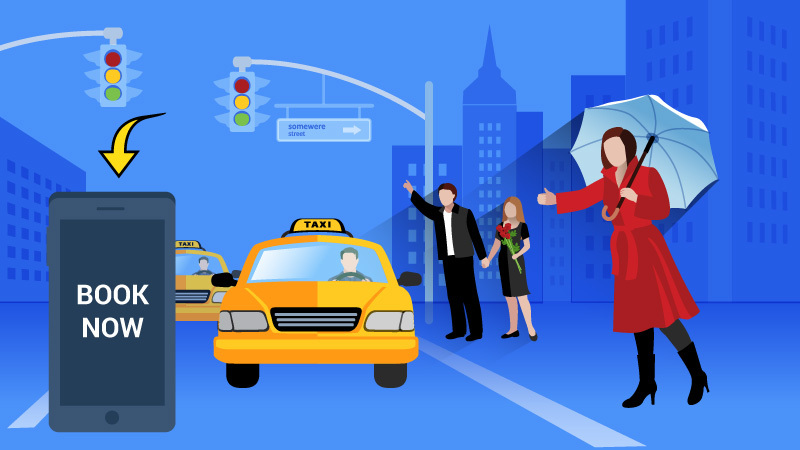 Various companies are providing taxi dispatch solutions containing passenger and driver apps for Android, iOS, a dispatcher panel, and an admin panel. What does this change bring for taxi companies? How can taxi companies compete with Uber and get back market share? Will Uber keep on dominating the transportation industry in the future? How was Uber able to entirely disrupt the taxi industry? It was achieved by combining modern technology with flexible payment and pricing strategies, while concurrently offering a useful platform for prospective drivers. It is clear that the car hire industry fits a mobile geolocation app. Uber recognized this symbiosis and launched its mobile app, which enables users to book a ride, with just a few taps. They use the GPS of the device to fetch the current location’s coordinates or allows the user to set the pickup point. The user can follow the driver’s current location after booking, in real time. The app also incorporates a rating system, in which the drivers are assessed at the end of a ride. Uber keeps the drivers that receive an excellent rating from its operation, and take notice of those drivers, showing poor ratings, thereby maintaining a high customer service standard. To add to the ease of its users, users select the payment method of their own choice and enter the required info only once, which saves the rider’s time and hassle. Users get driver status and remaining time to reach to the destination increasing the transparency of the service. As Uber is not like a traditional taxi service, but preferably, a ride-sharing service, it is free of taxes and license fees. Uber has chosen reasonable transaction costs, that excludes reservation costs, and enjoys the benefits of contracting its drivers as agents, not as employees. The drivers are also not subject to higher insurance rates or expensive permits and are in reality turning their existing cars, into an income-generating mechanism. These combined advantages allow Uber a competitive pricing to their customer base while creating revenues to its network of drivers. Potential drivers have the flexibility and possibility to utilize the available resources, i.e., a car and their free time and turn them into revenues. Uber users are increasing steadily, as a result of their satisfaction from the little pickup time, the enhanced convenience and the lower rates, so there is a resulting increase in demand for drivers. Due to the “Uber’s Revolutionary impact” there is a decrease in the number of rides a cab gives, leading to a decline in the profits of the medallions. The increased competition has also led to the end of some taxi businesses that were regularly losing customers to Uber. In San Francisco, the largest taxi company registered for bankruptcy in 2016. How Can the Taxi Businesses Compete With Uber? Much of Uber’s success is due to the utilization of advanced technology and enabling customers to book a ride with an app. Taxi companies must offer this easy method for ordering a taxi as well to attract more customers. Taxi companies can develop their app or get on-demand solution provider company to establish an e-hailing app, similar to UBER. Uber drivers are held responsible for their level of service, and they are dismissed from the service if they are not up to the standard. Taxi companies must attempt to ensure that their drivers provide the same level of service, if not better than the competition. Taxi companies should invest in service seminars to train their drivers regarding customers services. A similar rating system can be used to assess drivers and those having consistently poor reviews should be criticized to improve customer satisfaction. One of Uber’s benefits is that it contributes newer and more comfortable cars. Taxi companies must attempt to keep their cabs well-maintained, thereby ensuring their customers’ comfort. Make sure the seats of the cab are comfortable, and that the air-conditioning reaches the passengers appropriately. Keep the car clean, and make sure the exterior and interior of the cabs are welcoming. Uber’s current business model has reduced fares, through enabling the lower rates to passengers, yet require payments to the drivers. These subsidies are considerably the reason why Uber is losing money today, with the increase in ride volume. Uber faced a loss of $2 billion in 2015 and a collective $4 billion loss since inception. At some point, Uber will need to make changes to ensure a profit-generating business model. 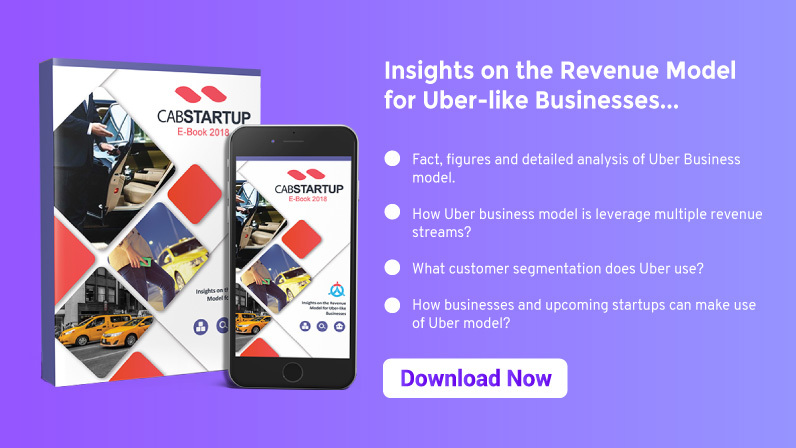 Taxi companies need to consider the Uber model to take a lesson for running a business successfully, to improve their services, utilization of app-backed hiring options and offer alternative options for cash payments. By improving efficiencies and catering to what today’s market demands, taxi cabs will be positioned to win back the market share.